Step Two: If you haven’t done so already, ask your architect or conservatory designer or installer, for their ideas about how to make your application more acceptable. Working with someone who has been through the process several times before and who knows how to answer, negotiate and overcome objections can save you time and money in the long run. Approx. 30% of Richmond Oak’s work is on Listed Buildings, so we have considerable experience in assisting our Clients in getting a satisfactory solution in negotiation with Conservation Officers. 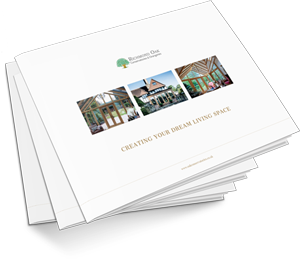 Designs in keeping with the style of your home using similar materials often have the best chance of being approved. 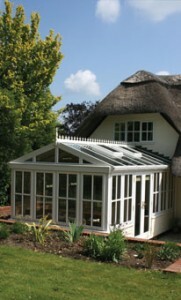 Wood and glass conservatories are considerably more acceptable than aluminium, plastic and polycarbonate erections! Oak, being an indiginous timber is considered more favourably than mahoganies and similar timbers, such as Sapele, Idigbo and Iroko forom the Southern Hemisphere, which often have questionable Forestry Certifications. Our Oak is all FSC certified with fully chain of custody certification. (This means the timber is fully trackable through its journey from the forest). Step Three: Ask your local authority for the forms you need for making an application. This will need to show clearly what you intend to do and should be accompanied with detailed plans and photographs. Richmond Oak will deal with the whole process from design through to obtaining a Listed Building Consent. 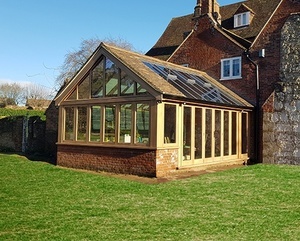 Want to find out more about our bespoke hardwood Conservatory and Orangery design services that we provide? Give us a call on 08456 442257 or request a call-back today!